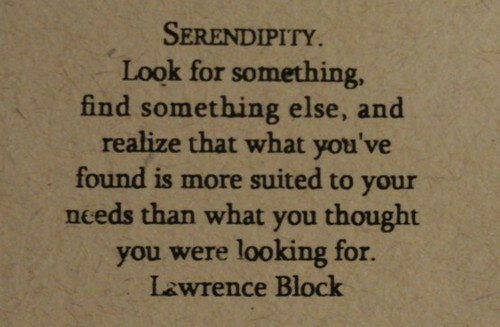 I experienced specific times when Serendipity was at play and I always used to refer to those times as Divine Intervention, although I don’t think it really matters how you personally interpret it, just that you recognize and/or allow it into your life to work its magic. If you think back to the insignificant moments in your life that ultimately had a bigger impact then you had realized at the time, ask yourself, did you embrace those moments or resist them? Or were they so casual at the time that you weren’t aware of their part in the bigger picture? When you make these connections later it’s amazing to see how integral certain moments were and how different the direction of your life may have been had those casual encounters not occurred. There are probably a lot of ways you can reflect and evaluate each and every occurrence in your life but I think mostly I’m asking about the moments that felt oddly familiar or significant in some way, but you can’t quite put your finger on it. I’m sure there are many and there are a few for me that are still unanswered that I haven’t put the pieces together on yet and I’m looking forward to that moment of clarity. It’s a matter of trusting and believing that your destiny (whatever that may be) will present itself when the time is perfectly right and having faith that your destiny is in alignment with all the seeds you have sewn so far. We are all meant to have good in our lives, it’s unfortunate that we can get too sidetracked by the negative aspects in our human existence but they are there to test our strength of character and sometimes tempt us down the wrong path. These challenges can seem impassable but they are always valuable lessons that are necessary to our destiny. 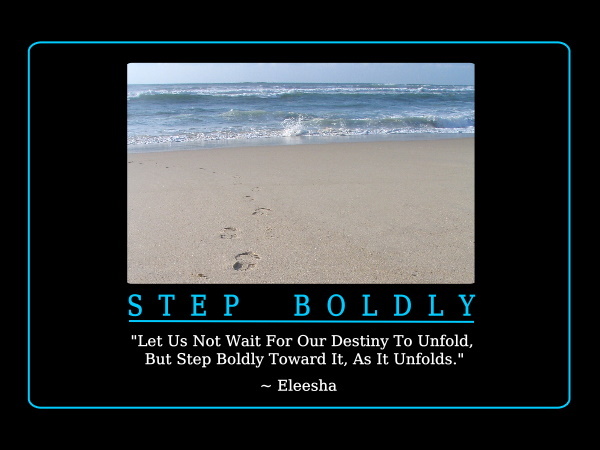 I do believe that there is always hope to change a path that is causing any kind of turmoil in your life and I think the best way to interpret difficulty is to realize that these tests are tough because you are meant for greater things that require greater strength and that difficulty will shape you into the person you need to be to live your specific destiny. – Don’t cut yourself off from embracing something just because it is unknown, have faith that “Everything happens for a Reason”, the reason will become clear to you when you are fully ready for it. – Do try to find the silver lining even in the difficult times for it will lead to a more positive state of being, which is the kryptonite to negativity. Serendipity occurs to remind you that there is still magic left in your life and when those moments occur; embrace them, allow them to play out without resistance and I bet it will lead you to a life you couldn’t have imagined or written for yourself.